Begin Again Nos 1–21, 2016, Vol. 2, 12–21, published as a limited edition of 21 artists books, two volumes. 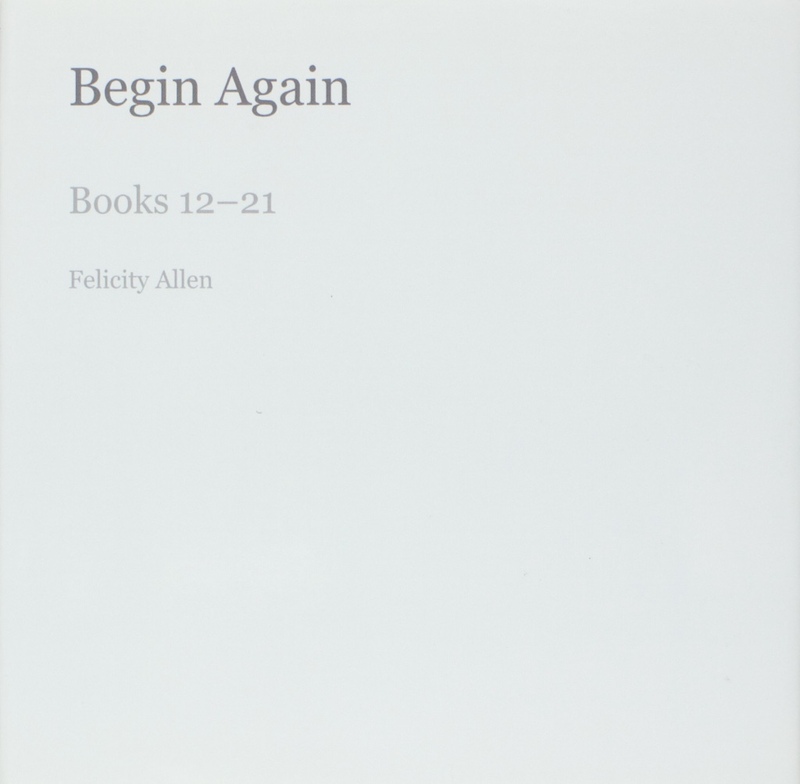 Back » Writing » Art Works · Writing » <em>Begin Again Nos 1–21</em>, 2016, Vol. 2, 12–21, published as a limited edition of 21 artists books, two volumes. Goldsmiths UoL Library, Special Collections (Women’s Art Library).